Common (culinary) sage, Salvia officinalis, is a Mediterranean herb in the mint family. 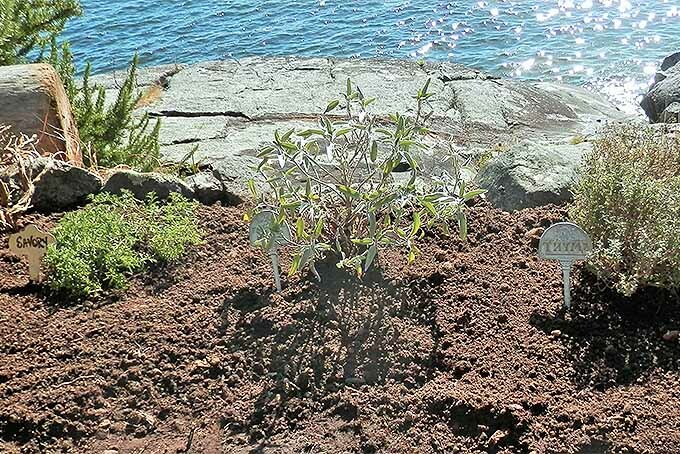 This shrubby perennial has aromatic, grayish-green leaves and lavender flowers. 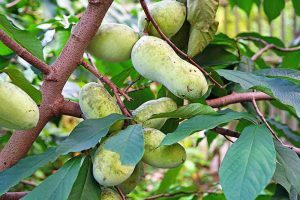 It’s used fresh or dried by cooks and herbalists around the world, and its flavor has been described as astringent, and sweet/bitter. You may know it best from its role in flavoring traditional turkey stuffing. 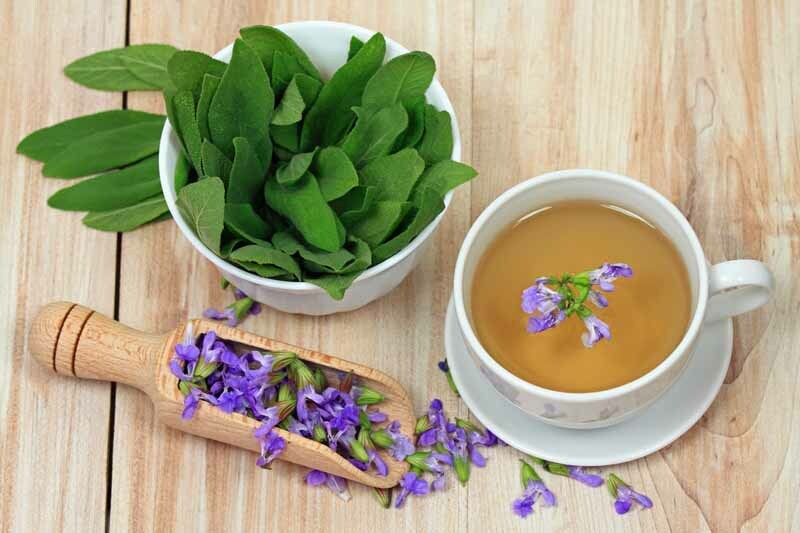 The leaves are also used in homeopathic preparations. 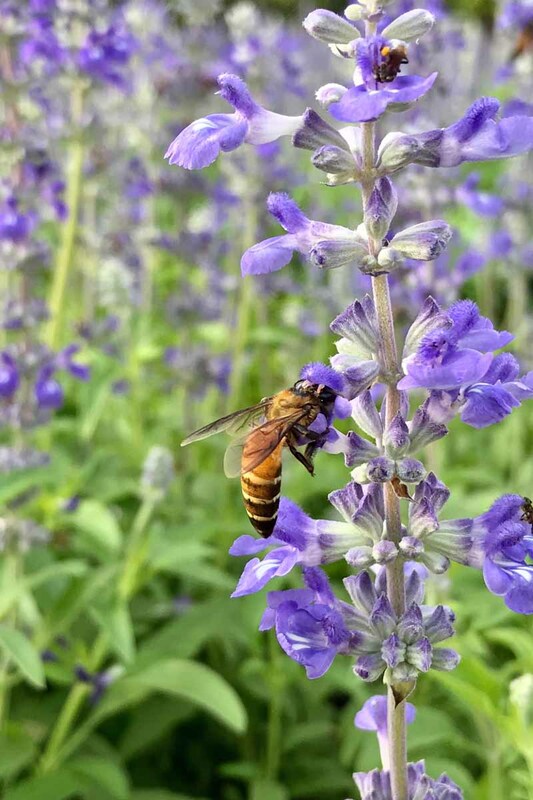 Other edible salvia species include bee (S. apiana), chia (S. columbariae), and pineapple (S. elegans). 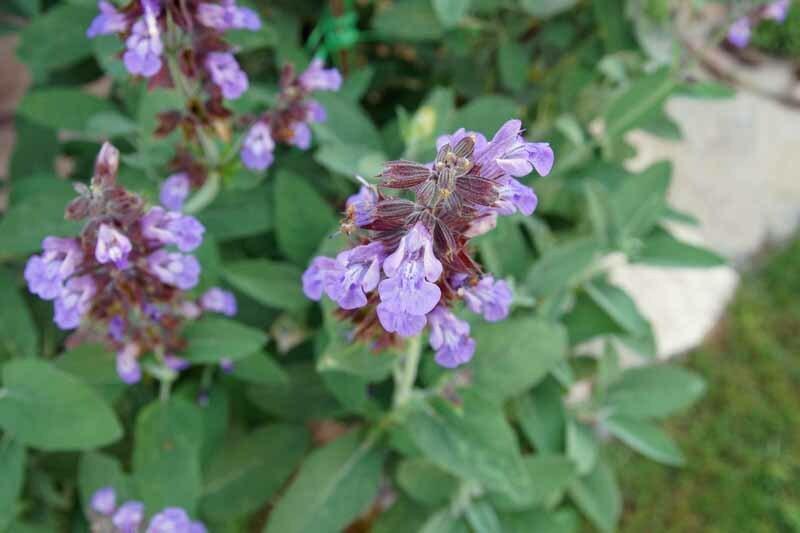 There are also numerous non-edible, ornamental types of sage including blue (Salvia azurea), purple (dorrii), Russian (Perovskia atriplicifolia), scarlet (Salvia splendens), and woodland (Salvia nemerosa). 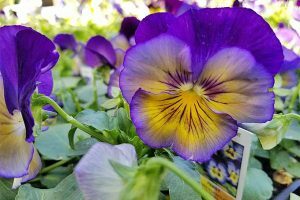 Be sure to read seed packets and plant labels thoroughly so you know what kind you are buying! S. officinalis grows from cuttings, plants, or seeds. Average soil is good enough, provided it drains well. If it’s slightly sandy, all the better. 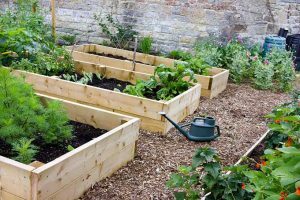 Some folks mound the soil as you would for squash, to prevent ponding and promote run-off. Full sun is essential. 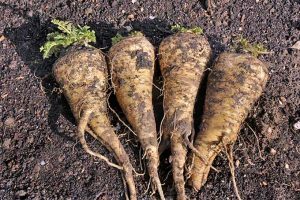 Start seeds indoors a few weeks prior to the last frost date or sow them directly outdoors after the date has passed. The seeds are tiny, so sprinkle them on damp soil and tamp lightly. 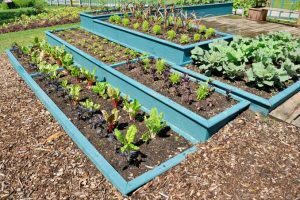 Garden center seedlings may be planted outdoors at this time as well. 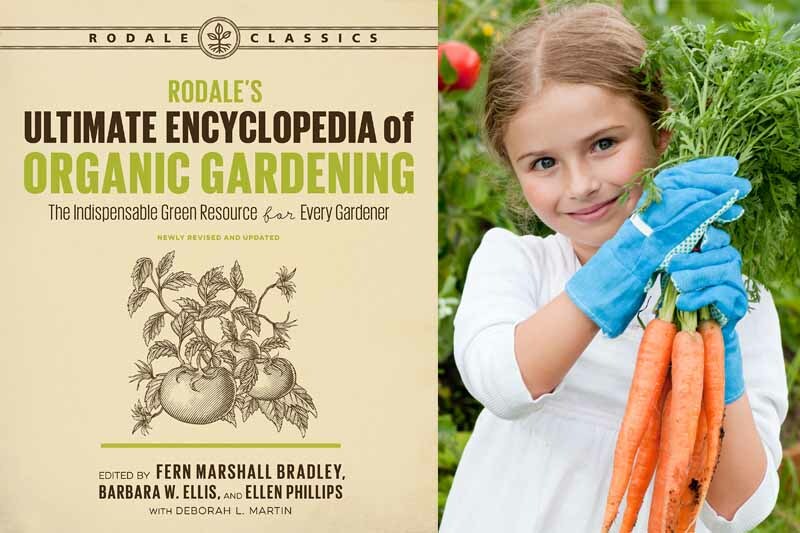 Refer to seed packets and seedling tags for specific information, like days to maturity. Water when the soil is dry and never over-water. 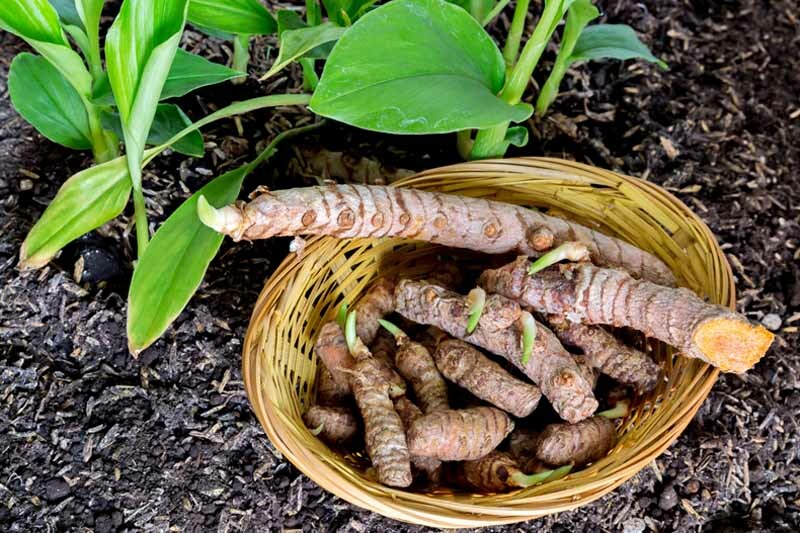 S. officinalis is not prone to disease or pest issues, and unless you over-water and rot the roots, this is an easy plant to grow. 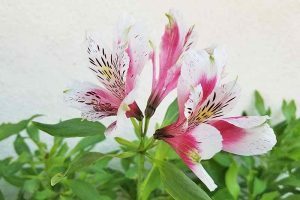 In addition, beneficial insects like bees and butterflies are drawn to the blossoms, making it a sound environmental choice. 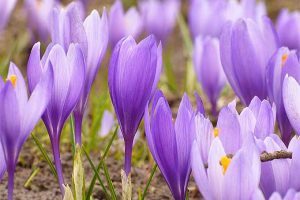 Plants grow in a clumping fashion and may reach a height and breadth of two and one-half feet. 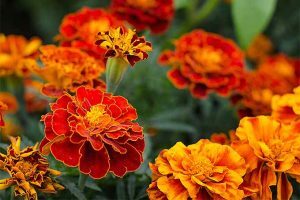 Mix into beds and borders with other herbs, flowers, and foliage of the same growing culture, like rosemary, thyme, and marigolds. 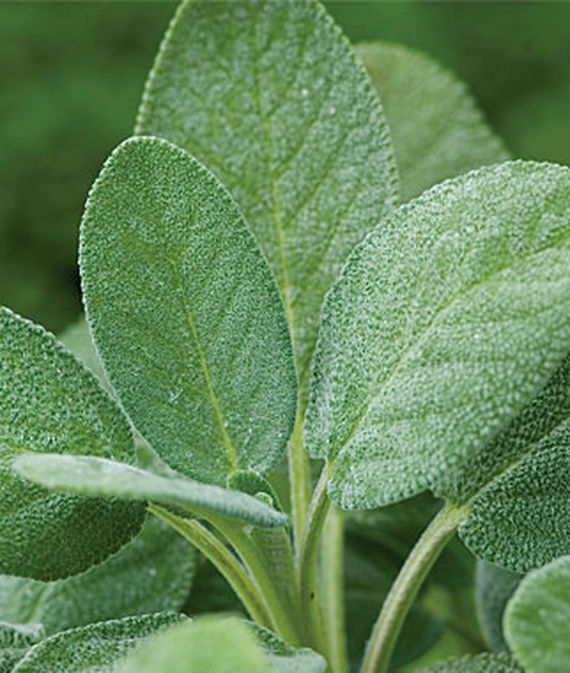 Place your sage away from cucumbers, as they often fail to thrive in the presence of fragrant herbs. 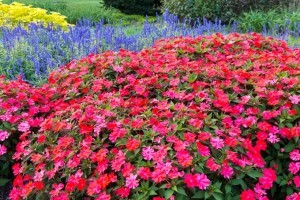 You may like to grow it in a container, as it is shallow-rooted and easy to maintain. 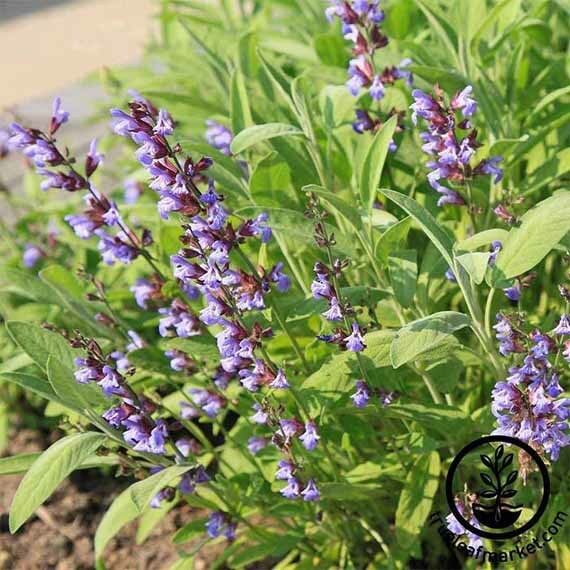 Salvia officinalis is available from Burpee. 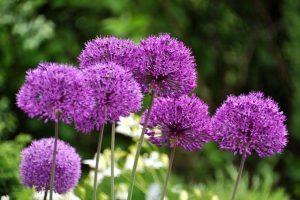 Purchase a packet of 200 seeds, or a set of three plants. Maturity is in 90 days. 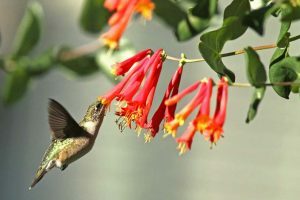 Broad-Leaved Salvia officinalis seeds are available from True Leaf Market in packages of 1-ounce, 4-ounce, 1-pound, and 1-gram packages. Maturity is in approximately 75-80 days. 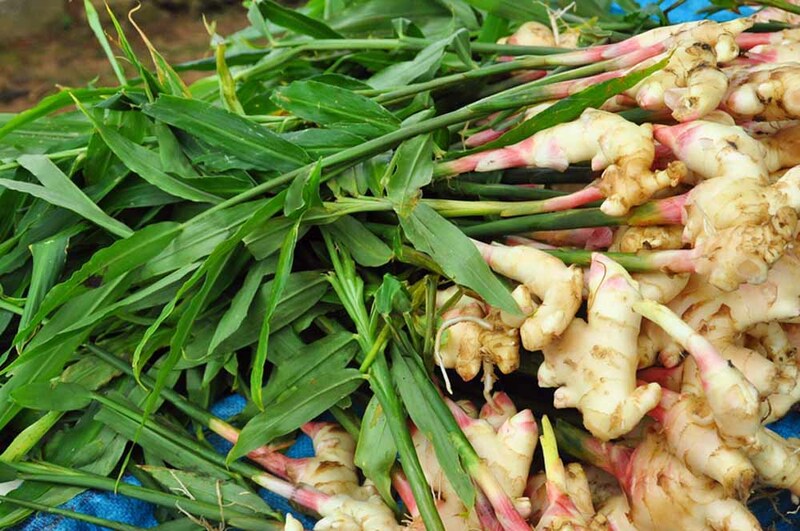 Packets of seeds grown with organic methods are also available at a slightly higher price. 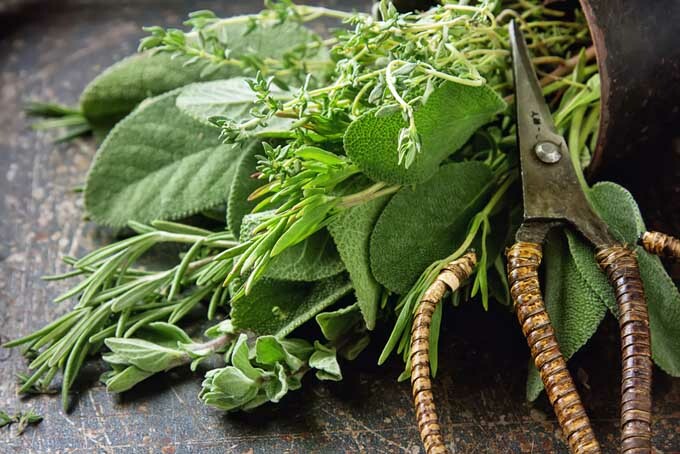 Culinary sage can be harvested all year around in areas where the herb is perennial (zones x-x). It’s better to harvest younger leaves by pinching them off the plant at the spot where leaves meet. You can also take an entire stem off at the base using hand snips. It’s better wait until after the dew has evaporated off for a more concentrated flavor. 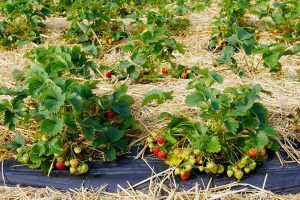 You can harvest up to half the plant at one time during its growing season and doing so actually encourages a more rounded and bushier plant and slows the flowering and seed producing process. In zones where the herb is a perennial, many folks will retire the pant after four or five years of harvest, as it eventually becomes woody tasting. 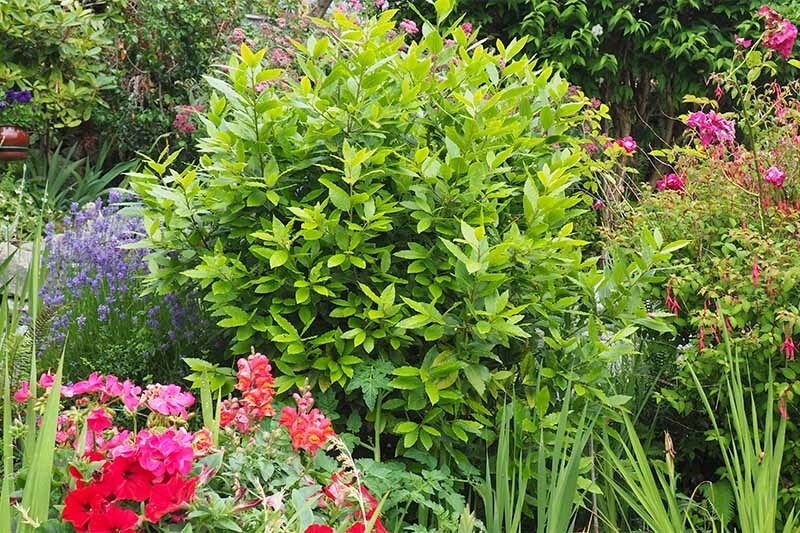 You can usually extend this by judicious pruning. You can preserve your sage using drying or freezing techniques and the instructions can be found on our sister site, Foodal. Do you love potatoes, but need to change things up a bit? 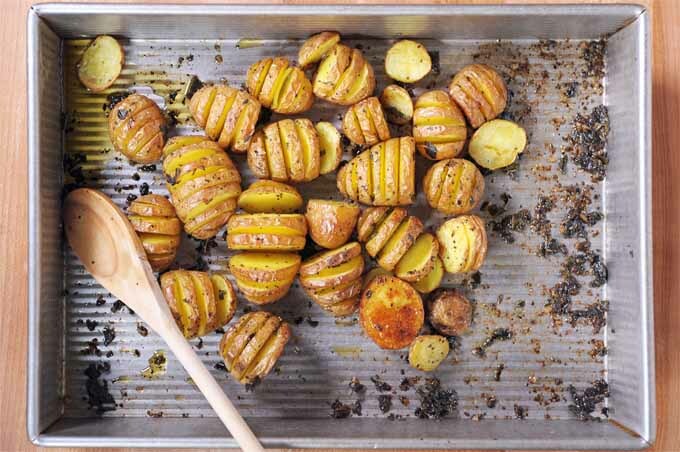 If so, you’ll want try these delicious Sage Hasselback Potatoes! Slits are cut into the top, which allows the lovely taste of real butter, salt, and sage to work its magic in the interiors, making for a crisp and soft spud full of rich flavors. 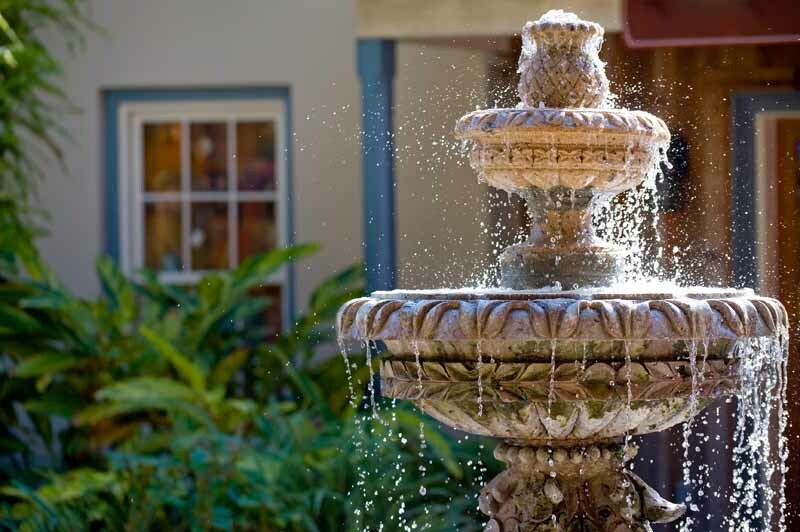 Get the details on Foodal! 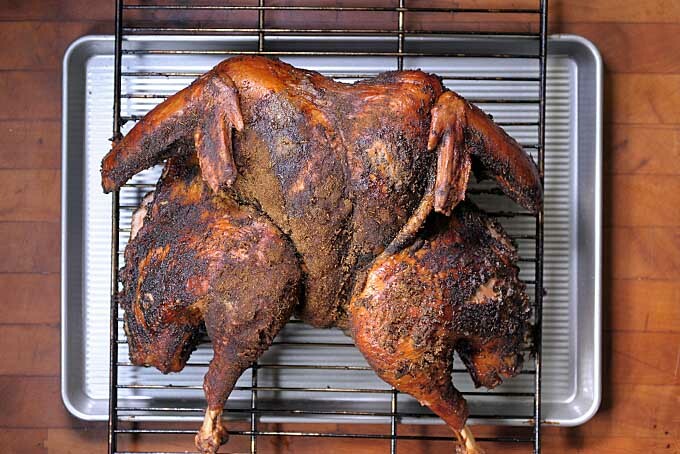 Are you tired of dried out, chewy turkey? If so, you really should take a look at this recipe that incorporates various techniques such as butterflying, dry brining, and dry rubbing to lock in flavors and juices. Get the the instructions now on Foodal! 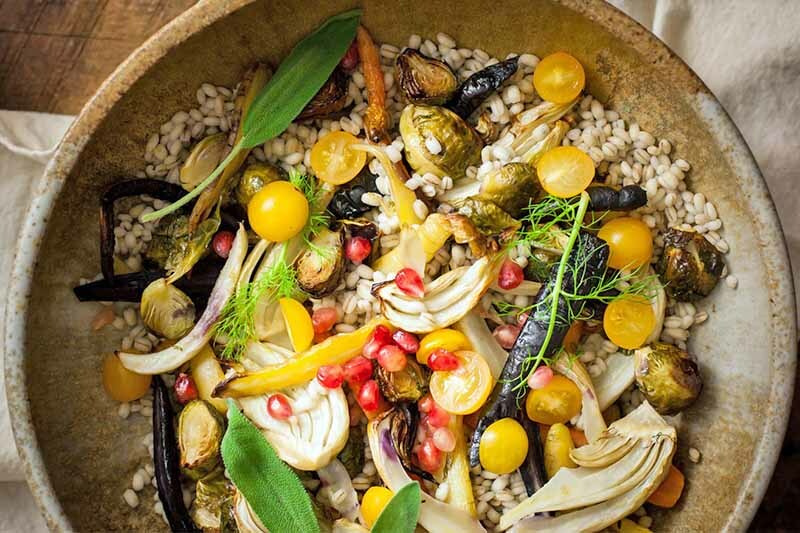 Sesame Sage Roasted Vegetables with Barley is the perfect vegan main dish for fall, or it makes a delicious holiday side dish. With fennel, carrots, Brussels sprouts, cherry tomatoes, and pomegranate, you’re going to love these grain bowls. And don’t forget the flavorful dressing! Get the recipe on Foodal now! And to find even more delicious recipes with sage, check out all that is available on our sister site, Foodal. This is a reference to the widely acclaimed herb’s extensive folk history. 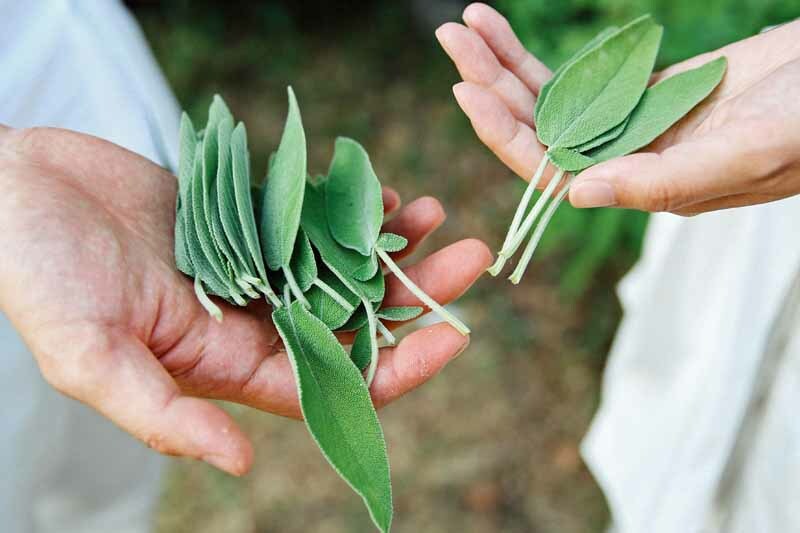 Native Americans have long used sage in traditional rituals that celebrate, heal, and purify. 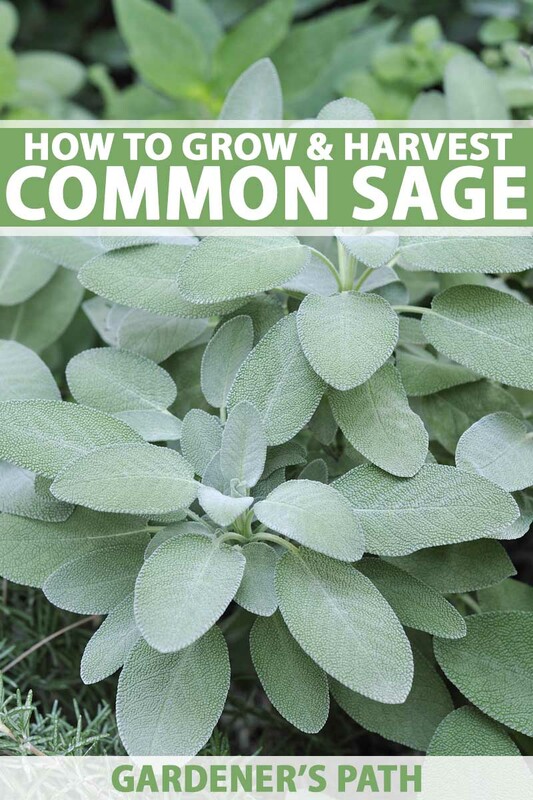 Common sage is a classic when it comes to herb gardening, and where it can’t survive a cold winter, it is often cultivated in containers that are brought inside until the growing season resumes. In warmer climes, it may grow so big and bushy that its stems become woody. 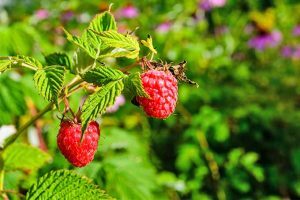 If so, replace your plants every few years for a steady supply of not only leaves and blossoms, but palatable stems as well. 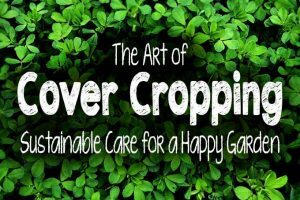 And finally, if you’re in a temperate zone and are looking for a lawn alternative, consider sowing herbs as groundcover, where every footfall fills the air with fragrance. Recipes photos via Mike Quinn and Raquel Smith © Ask the Experts, LLC. ALL RIGHTS RESERVED. See our TOS for more details. Product photos via True Leaf Market and Burpee. Uncredited photos via Shutterstock.